Biblical prophecy ‘FULFILLED’ after SECRET hidden Bible code CRACKED by experts? Is the reason that many do not understand prophecy is because the Bible contains a numeric series of codes that one needs to accept in order gain missing insight? Jesus pointed to various signs to look for when His disciples asked Him about prophetic events (cf. Matthew 24), but looking for numeric codes was not one of the signs He pointed to. Yet, various ones have believed that there are numeric patterns that reveal various ‘truths’ of the Bible. While author Michael Droskin popularized it decades ago, at least as far back as Isaac Newton, some have looked for and made conclusions based upon that. And while God certainly inspired the Bible to be written as it was, and there is numeric and other understandings that God has, people need to be cautious when the ‘Bible Code’ is claimed to reveal something. On November 4, 1995, Israel’s Prime Minister Yitzhak Rabin was assassinated at the end of a rally in support of a peace agreement between Israel and Palestine. The killer, an Israeli ultranationalist named Yigal Amir, radically opposed Rabin’s initiative and the signing of the Oslo Accords. However, the incident was part of a much bigger biblical prophecy being fulfilled, according to a new theory. 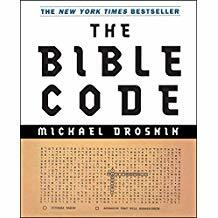 Journalist Michael Drosnin, alongside Jewish mathematicians Doron Witztum, Eliyahu Rip and Yoav Rosenburg, claim to have found a hidden message in the Bible that proves it was the work of God. 0n September 1, 1994, I flew to Israel and met in Jerusalem with a close friend of Prime Minister Yitzhak Rabin, the poet Chaim Guri. I gave him a letter which he immediately gave to the Prime Minister. “An Israeli mathematician has discovered a hidden code in the Bible that appears to reveal the details of events that took place thousands of years after the Bible was written,” my letter to Rabin stated. Now, perhaps it should be pointed out, that there are different ‘Bible Code’ systems. Any, and ALL, that rely on the current Jewish reckoning of the year are false. Because the Jews CHANGED the year. Their year is off by 200, hence any calculations based on the Bible and the year that align are coincidental and NOT inspired by God. For more on the year, watch 6000 Years: When will God’s Kingdom Come? While terrorist events can, and sometimes will, happen, the Great Tribulation has not started and will not start this weekend. What the Bible shows MUST happen has NOT happened yet. (Thiel B. Europe to Launch Satellite for Galileo, But More False Witnesses. COGwriter, April 24, 2008). Of course, that “True Bible Code” was wrong about 2008. If 2017 AD is the 70th Year of Israel, the 70th year of Jubilee years (50 years), AND GOD IS USING THIS JUBILEE SYSTEM for the End Times, this means that JESUS WILL RETURN TO EARTH AND SET UP THE KINGDOM IN JERUSALEM in 2017 AD or 5777 HEBREW CALENDAR. While it is possible that Jesus may return in 2017, the Great Tribulation cannot start in 2010. I have found a Bible Code that may give us the clearest window ever as WHEN The First Rapture will Happen and The Great Tribulation will start. This Code Matrix is based upon a Fixed Event found In The Book of Revelation, chapter eight. The reality is that the wormwood comet-like event in Revelation will not happen in the first year of the Great Tribulation, nor will it happen in 2010. The Year: 5770 or 2010 AD. With Russia and Iran now undisputedly backing Syrian President Bashar al-Assad by sending troops and weapons into Syria, a newly-released Bible Codes video reveals that the partnership has Messianic implications for the Jewish people. International Bible Codes expert Rabbi Mattiyahu Glazerson explains that the recent cooperation among Russia, Iran and Syria to boost the standing of Assad is one step in the final redemptive process. In the Bible Codes table, which comes from the Book of Deuteronomy, Glazerson points out codes embedded in the Biblical text that describe the current situation, such as Rusiya (Russia) and b’Suria (in Syria), Iran and the Hebrew letters tav, shin, ayin and vav (תשעו), which have the numerical value of 776. This is a reference to 5776, the current Hebrew year. For Israel, Iran is “of the peoples that are around you.” Iranian leaders have repeatedly stated that their goal is to wipe Israel off the map, with the most recent public comments being made by Iranian Supreme Leader Ayatollah Ali Khamenei, who vowed that Israel will cease to exist within 25 years. Let’s deal with some of the issues above. First of all, it is not actually year 5776. That count does NOT agree with the actual Bible, hence to imply that the ‘Bible Code’ interpretation is for this year is irrelevant. To determine the approximate year, with multiple scriptures, check out the article Does God Have a 6,000 Year Plan? What Year Does the 6,000 Years End? Second, even if it were the year 5776, it makes no sense to add 5000 years to the number 776, which is what the Jewish Rabbi’s interpretation admittedly did. Since Rabbi Glazerson claims that ‘the peoples who are around you’ is Iran, perhaps we should consider if the nation of Israel is currently going after the Shi’ite Allah. There is no evidence that Israel has recently done this, thus that interpretation is wrong. Is what is going on with Russia, Iran, and Syria predicted in the Bible Code? Is Rabbi Matityahu Glazerson’s interpretation of the year and passages in Deuteronomy 4 correct? Is a ‘cruel taskmaster from Iran prophesied to rule Israel? Is Joel Richardson’s view of Ezekiel 38 correct? Is Russia the power in the ‘far north’ of Ezekiel 38? Is Russia the prophesied King of the North? What will happen to Iran? Does the Bible teach that Damascus, Syria will be destroyed. Dr. Thiel answers these questions and more. Here is a link to our video: Russia, Iran, Syria, & the Bible (Code). So, for over a decade I have denounced those that tried to tie their version of the ‘Bible Code’ with the supposed date of the Jewish year. And as I wrote before, yes, sometimes a coincidence will occur. And that is my view of the Yitzhak Rabin assassination and the Bible Code interpretation. As far as Isaac Newton goes, he predicted the end of the world in 2060, based upon his interpretation of events and codes–that year is too far off to be right (for more information on why, check out the article Does God Have a 6,000 Year Plan? What Year Does the 6,000 Years End?). Believe what the Bible says and do not be swayed by those who try to make a convincing argument that is in conflict with it or historical facts. Ezekiel 38: For Russia & Iran in Our Day? Is Ezekiel 38 about to be fulfilled? 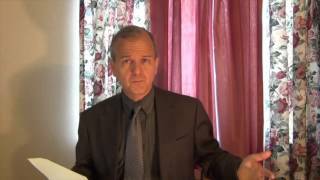 Are we close to the battle with Gog and Magog? Three related videos are available: Ezekiel 38 Gog and Magog War: Is it Soon?, Ezekiel 38: For Russia, Ukraine, & Iran Now?, and Russia, Iran, Syria, & the Bible (Code). This entry was posted on Tuesday, February 5th, 2019 at 3:00 pm	and is filed under Prophecy.